Nihon Arekore: (395) Shame on you! 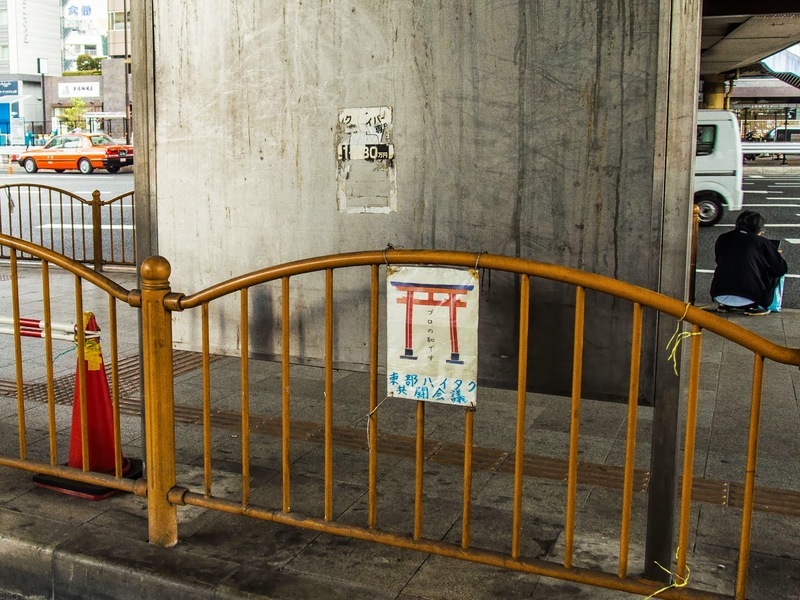 The image is that of a torii (鳥居) gate, entrance to Shinto shrines and symbol in the Japanese conscience of something that must remain clean and untainted. 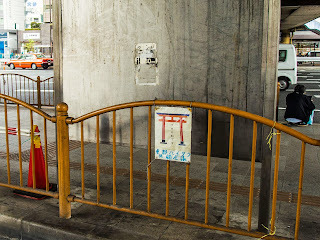 The reason a torii appears in such, usually improvised, signs in various public places with no actual Shinto shrine in the vicinity is because those who put it there are trying to trigger the superstition in most people and prevent them from peeing at that spot. The phrase written vertically under the torii (“it’s a shame for professionals”) as well as the spot it is posted (the taxi waiting area, just outside Ueno station, one of Tokyo’s biggest with at least five public restrooms) gives an idea about who are the intended recipients of the message.